I have tried numerous products from Brushworks and so far I have liked all the products I have tried, so when I received two of their latest launches to try, one of the Brushworks HD Multi-Tasking brushes £7.50 and the Brushworks Pink Clay Konjac Sponge £6.30 I was eager to give them both a go. Out of the two products, I have to admit, I was most intrigued by the Pink Clay Konjac Sponge £6.30 I had never heard of a Konjac Sponge so I was really interested to both find out more about it, and of course to use it. 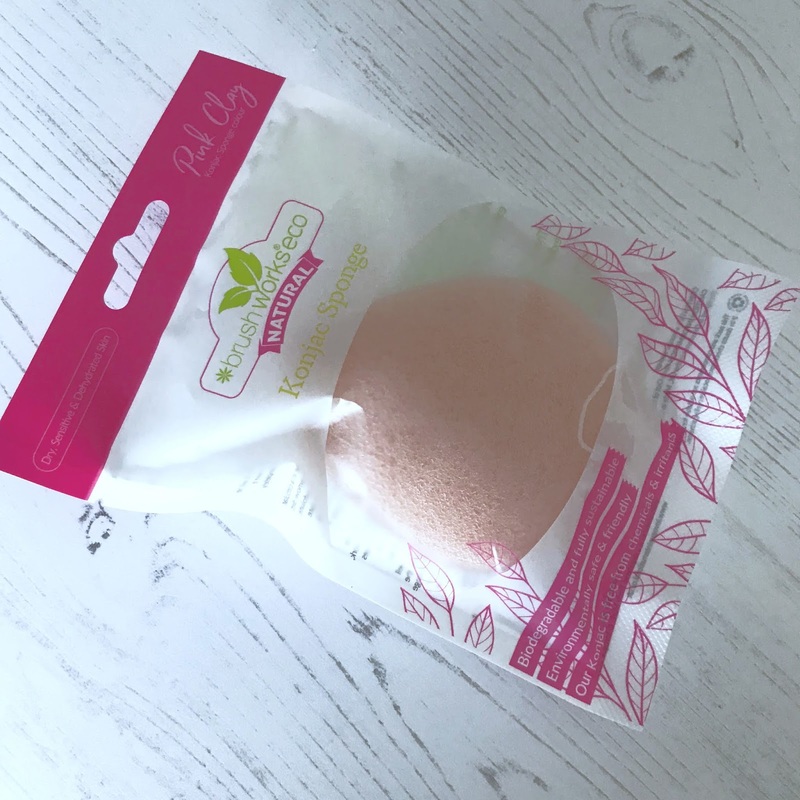 The Clay Pink Konjac Sponge £6.30 comes in a plastic packaging which shows the sponge through a window on the front of the packaging, there is some information on the front of the packaging and then much more information, including usage instructions on the back. The Brushworks Pink Clay Konjac Sponge is made from vegetable fibre of the konnyaku plant, which makes the sponge gentle and 100% biodegradable. 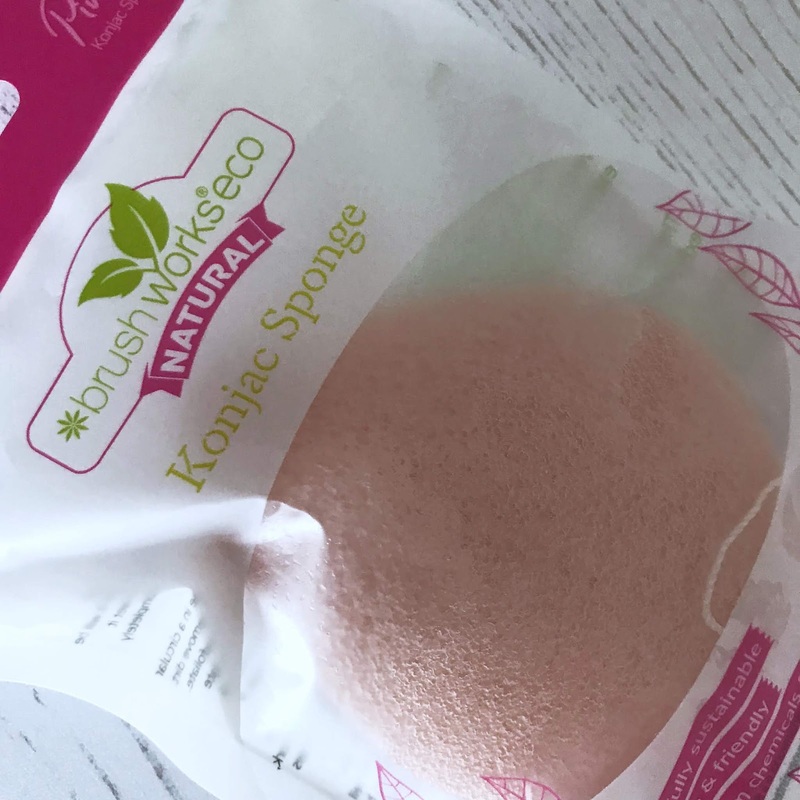 The Konjac sponge acts as a gentle exfoliator, removing dead skin cells in the most delicate manner. The sponge is suited for all skin types but is ideal for sensitive skin, the sponge is a mix of red and white clay and is recommended for tired, sensitive and dehydrated skin and is perfect for skin that is exposed to the sun, helping the skin maintain it's elasticity. 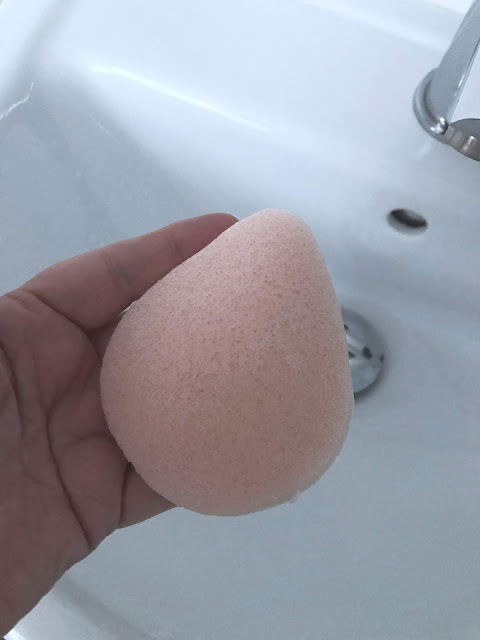 The first time I used the sponge, I used it in the evening, I wasn't wearing makeup, although you can use the sponge to remove makeup. 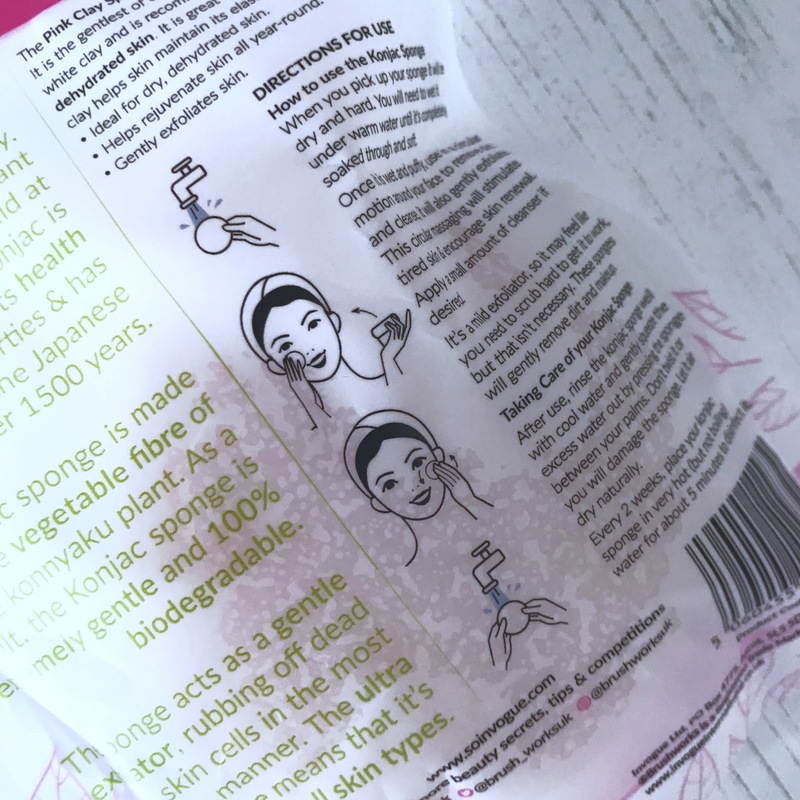 I wet the sponge under the hot tap and squoze the excess water out and then used the sponge in circular motions, I have very dry and dehydrated skin and after using the sponge and then patting my face dry, it felt very soft and any traces of dry patches had been removed. You can if you wish use the sponge with your cleansing product, I have also tried the sponge using a cream and gel cleanser and it worked well with both, I think the sponge would be ideal for travel, if like me you like to use a balm cleanser or gel cleanser and take 127946299 face cloths away with you. I have yet to dislike a Brushworks product, and the HD Multitasking Brush is no exception, the purple and black handle and bristles look lovely and it's a great brush. 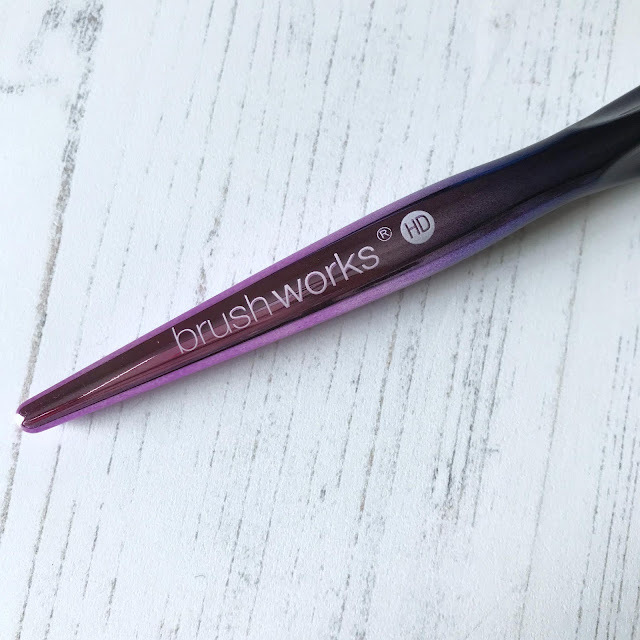 It comes in a clear plastic box with all the information you need on the packaging, then on the handle is the Brushworks logo and "HD"
The brush head is a good size and black at the base with purple tipped bristles. The brush has a domed and flattened head and is densley packed, and is perfect for finishing your makeup look and applying products. 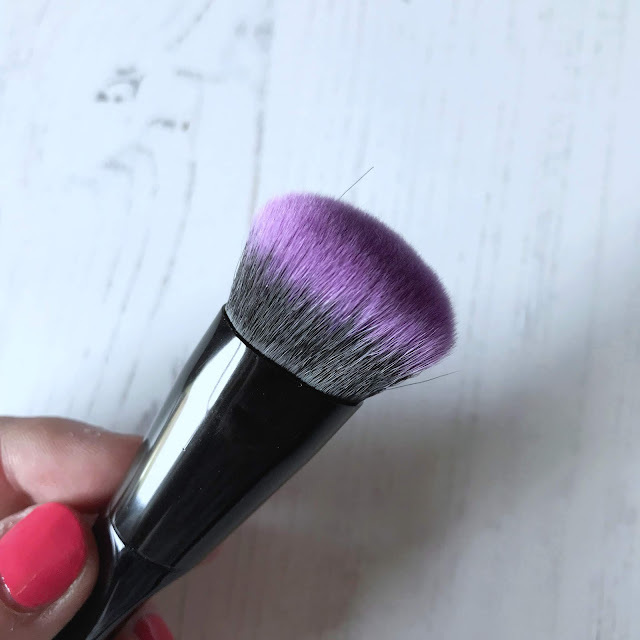 I love to use the brush for applying my tinted moisturiser and buffing it out to a seamless finish, I also use it to apply cream and powder blush and highlight, it is a great allround makeup brush. The brush has a nice slender handle and feels nice to hold, it isn't too long or short which may sound silly, but some brushes have the most ridiculous length of handle! I really like the brush, it washes really well too and hasn't shed at all despite using and washing it numerous times. All Brushworks makeup brushes are cruelty free and Vegan friendly too. 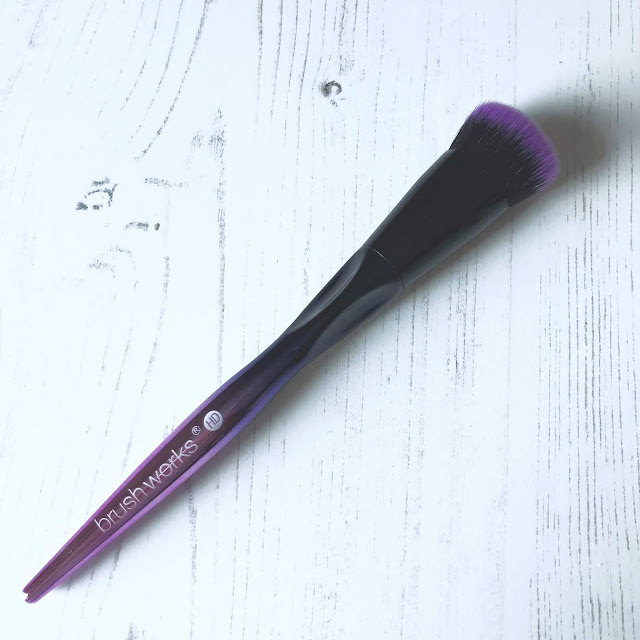 At the beginning of my post, I said I have so far liked all the Brushworks products I have tried and the Konjac Sponge and Multitasking Brush are no exception, both work really well and do exactly what it says on the tin. I am really happy with both items and they are both very affordable too, with them both being less than £7.00 each, which is brilliant. You can find the Multitasking Brush here for £6.40 and the Konjac Sponge here for £6.30, if you'd like to give them a try. Have you tried any products from Brushworks? Or the Konjac Sponge? And if so what is your favourite Brushworks makeup brush.